There are no wasted words, no "fluff" here — with only 45 pages in the book, the author makes every word count. The conversations that occur between the characters are written in a realistic style, not a stilted one. A "flashback" passage is handled well. 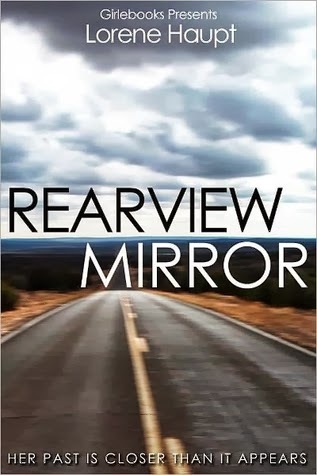 The theme of Rearview Mirror is plausible (and older than dirt) — re-kindling an old flame, but with a few modern twists — written with a backdrop of social media, and pop-culture references that add to the fun. I really enjoyed reading Rearview Mirror, and bestow upon it my rating of Four Kitties. I highly recommend it, especially to anyone who has ever looked back and wondered "What if...."
So if you want a quick read that will leave you nostalgic for the days of Nirvana and Pearl Jam, sending you into the depths of your closet for your favorite flannel shirt and digging through your VHS tapes for your copy of “St. Elmo’s Fire,” Rearview Mirror is right up your alley. But wait, there’s more! For a limited time, Rearview Mirror will be a free download for Kindle users at Amazon! This promotion is set to run Friday, October 18th through Tuesday, October 22nd, 2013. So go, run, download! 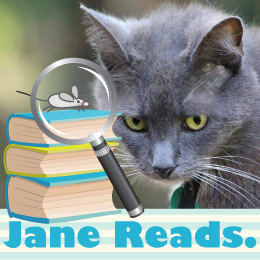 Jane is about the third person to ask either for a sequel or for a retelling from the perspective of the other characters. While I have not ruled out this idea, I kind of like leaving it as is. After all, we all know what would really happen – Elise would have the kid, Drew would get tired of her and move on to one of his groupies, and Elise would move to Alaska and design igloos for a living. One day the kid would see Drew on an episode of “Celebrity Rehab with Dr. Drew Jr.” and learn the truth about his/her dad. A scene reminiscent of the Dr. Evil/Scott Jerry Springer conflict from “Austin Powers” would follow. And that’s just not all that romantic, is it? So to borrow from the Beatles, can we please just let it be?